As a regular contestant in the M6 lottery, I can vouch that swearing at motorists is alive and well on our ancient byways. Get out of the f*cking middle lane you tw*t! 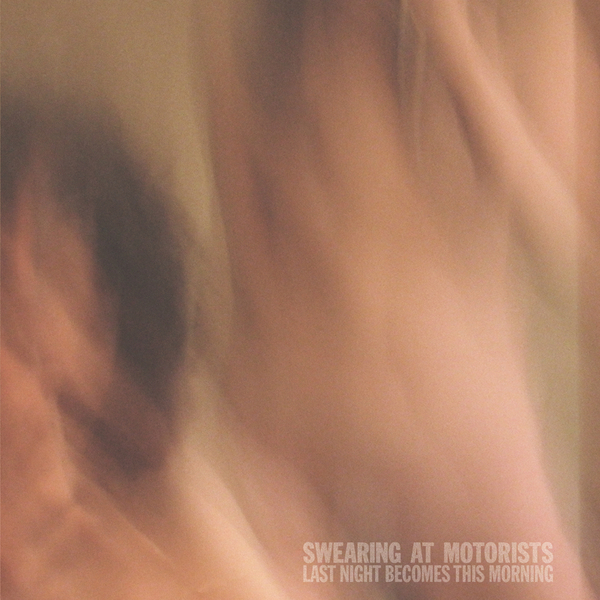 Sorry about that... A decade in and Swearing At Motorists may just have made the best album of their career; with 'Last Night Becomes This Morning' a rumination on the self-doubting outlook which varnishes their mahogany sound. A honeyed fusion of alt.rock and indie, Swearing At Motorists are in a service-station with the likes of Guided By Voices and Nick Cave & The Bad Seeds, documenting the clichéd tale of life-on-the-road in a manner which doesn't have you reaching for the Ginsters. Comprising fifteen songs which barely graze the three-minute mark, tracks like 'Losing The Battle, Losing The War' and 'Suicide On Instalment Plan' utilise the cramped conditions of recording on tour (hotel rooms, sound checks etc. ), fermenting the stark guitars and sporadic percussion with Dave Dougman's weary vocals. If that weren't enough, it transpires that the group has gone through a towering 15 drummers in their career. Swearing at Motorists; we salute you!